In an organization, meetings are always set up to discuss important matters or simply have a chitchat among the members. A team meeting agenda is prepared beforehand to make sure the assembly does not go haywire. In a team, there usually are assigned people with designated tasks. And it is everyone’s prerogative to make sure those tasks are handled properly. Business organizations and even small group assemblies always have something to talk about. It is always and all the time for the good of the team that is on the agenda. So it is imperative for secretaries that agenda writing is done days or weeks before the meeting. This is to ensure that all the important topics will be covered and not one single information be missed. A key to a better organization is to constantly hold effective meetings to discuss all important matters. And an effective meeting cannot be accomplished without an complete and detailed agenda. 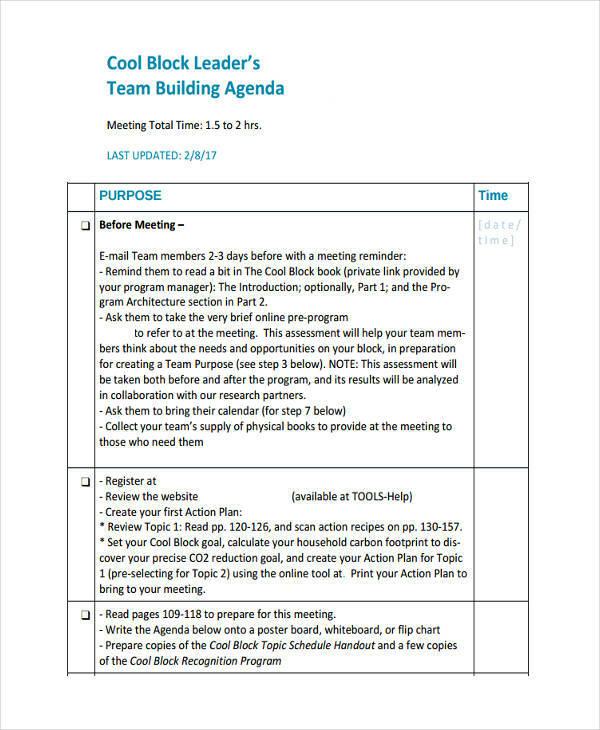 Here are the steps to draft an effective team meeting agenda. Draft the agenda in advance. Preparedness always win a team even in war. 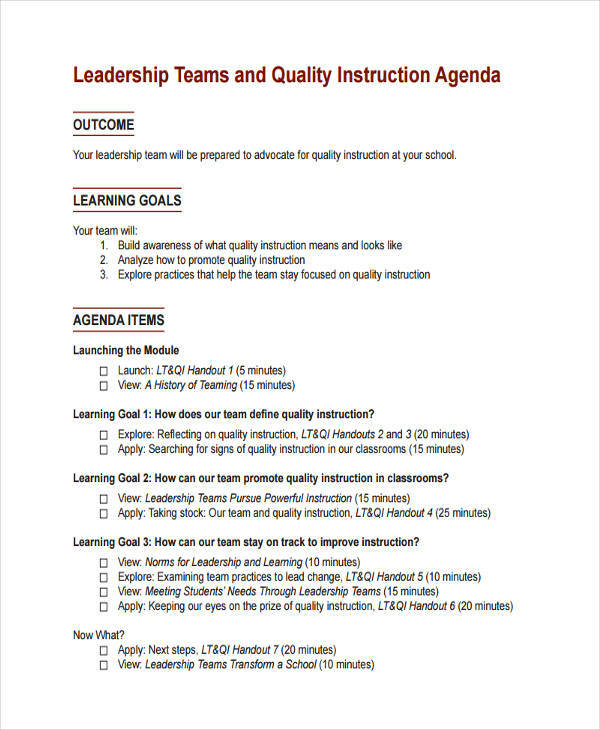 So if you want to have an effective agenda, try to write it at least a week or two from the meeting. This allows you to focus more on the important topics. Know your objective. 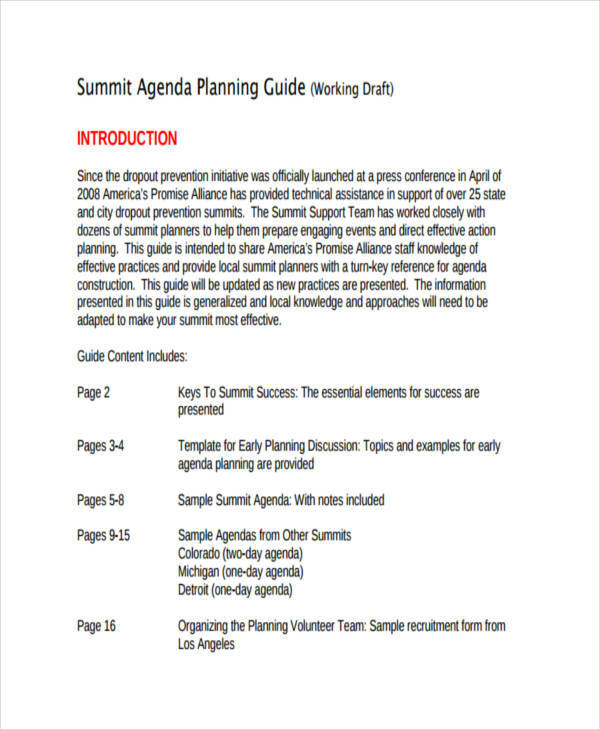 While preparing your business agenda, identify the goal of the meeting and why is it important that it should happen. Consult your team members. A team is composed of a leader and team members. And sometimes, those who know what are the things needed to be discussed are the members. Create a timeline. 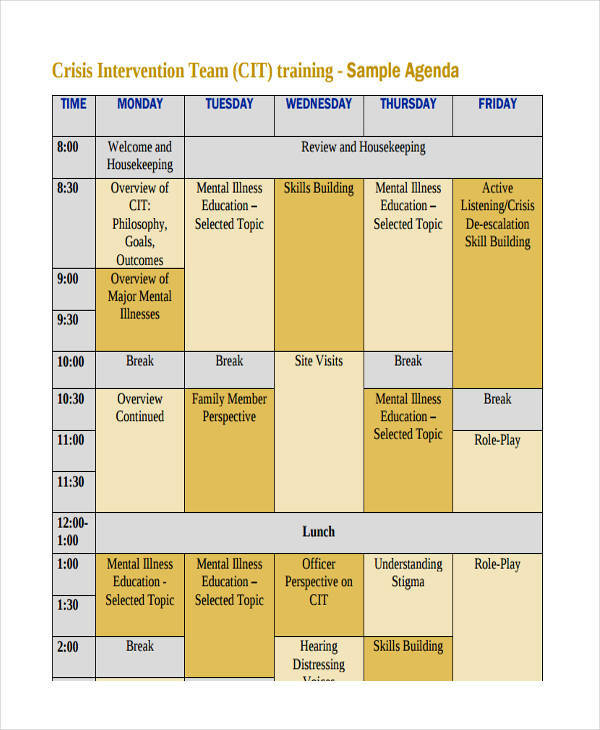 In order for you to carry out the meeting harmoniously, set a timeline for each topic to be discussed. This ensures that no important topic will be left out. Assign the topics. Again, a great team is a team whose members are as important as their leader. Involve your members to each topic and let them discuss it while you facilitate. This also helps their confidence and sense of belongingness. 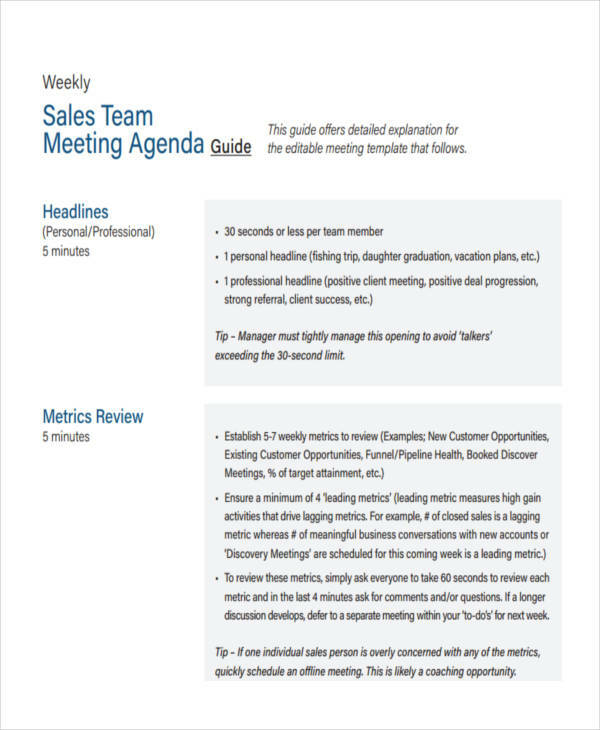 Whether it is a sales agenda or a team building agenda, it is always important to make sure that they are detailed and prepared. Here are the key elements for a successful team agenda. Basic and Important Information. 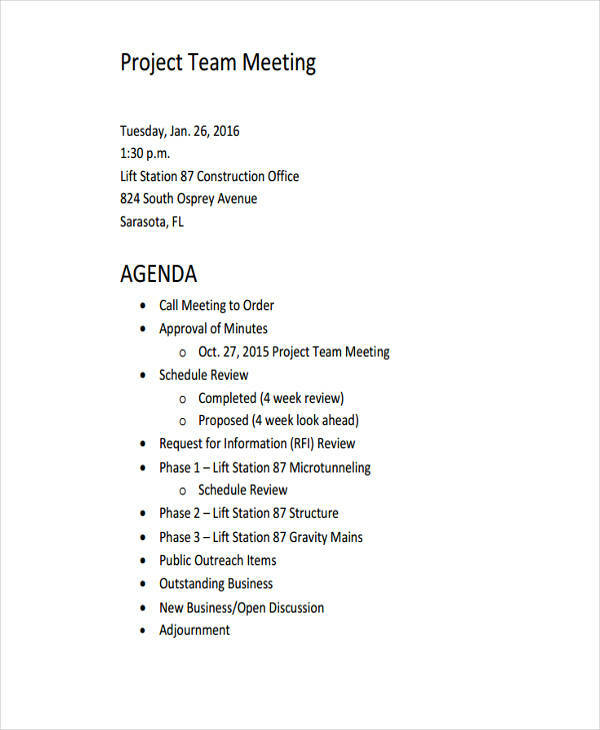 This includes the date and time and the place where the meeting will take place. It is an important element so that all members will know where to meet and when to meet so they can set their schedules. Goal or the Subject. This is to let the members know what to expect during the meeting. This is also a way for them to prepare any questions they might raise during the assembly. People Involved. 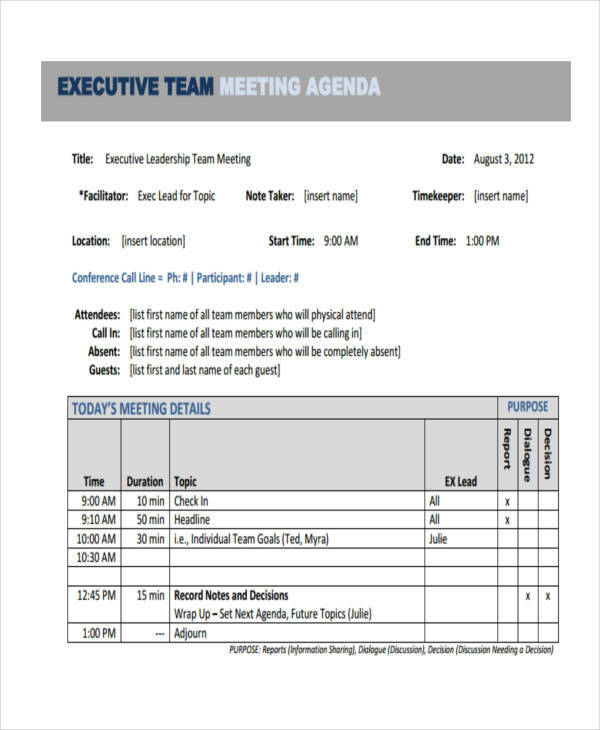 If some of your members has a role, make sure to include their names in the agenda. This is so they could prepare what to talk about and for how long they should deliver it. 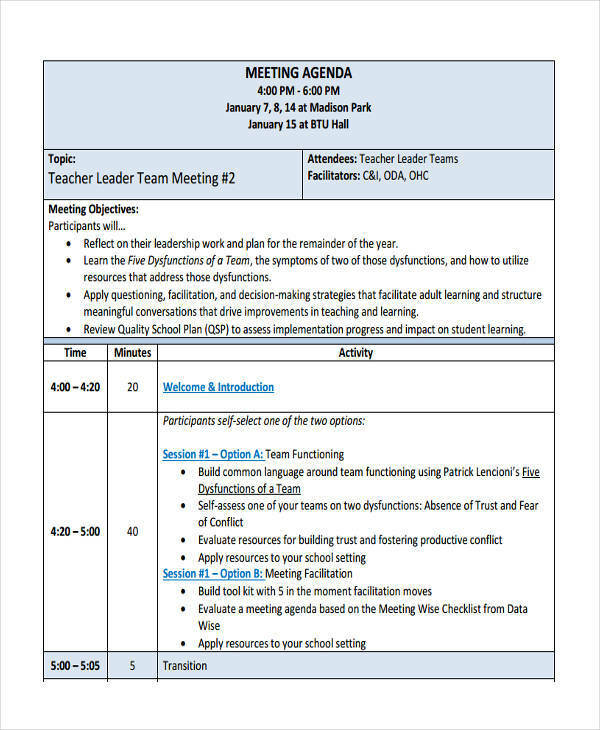 An agenda is the first step to hold meetings. Leading a team for an effective meeting is another key to a successful organization. Here are some tips on how to lead an effective meeting. Announce it beforehand. In a business research agenda or any other meetings, setting the news ahead of time is always important. Not only you can prepare but also your members too. Facilitate the meeting. If you are the leader, make sure to facilitate the meeting well. If you have assigned some people to discuss some topics, make sure they cover it in brief yet complete. Observe timeliness. Some of your members may have other important things to do so make sure to start and end the meeting on time. Write the minutes. Have somebody from the group, preferably your secretary, write the minutes of the meeting. 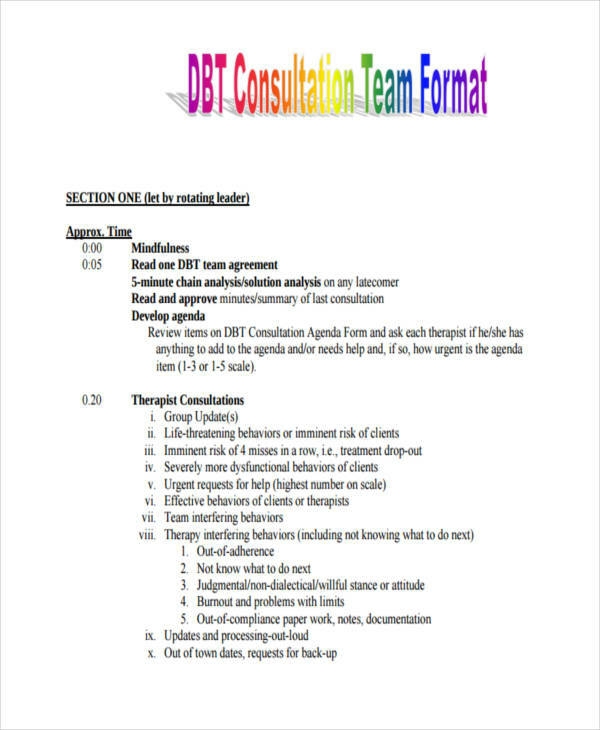 This is to ensure that all the things discussed are written and if an important matter is missed, it could be included on the next discussion.